LET’s face it, most investors would not be interested in listening to what you have to say about the LEAP Market. First, trading is restricted to sophisticated investors, so most retail investors, or rather unsophisticated investors, could not care less. As for the sophisticated investors, many remain sceptical because they have the perception that the companies are not sizeable enough in terms of market capitalisation and profits. However, it is worth noting that two of them — Mykris International Bhd and Cloudaron Group Bhd — registered a profit after tax of more than RM5 million, while the average profit upon listing for the 11 companies was RM2.09 million (see Table 2). 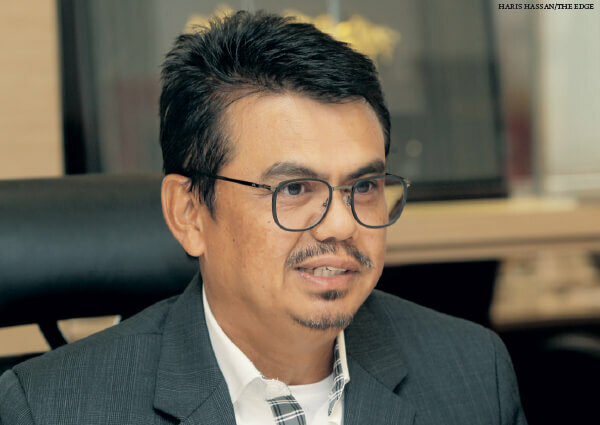 Among the ACE Market companies that were listed last year, only Matang Bhd registered a profit after tax of less than RM5 million, while the average profit recorded was RM9.5 million. While that may be the case, it should be noted that companies listed on the LEAP Market are fast-growing businesses that have the potential to migrate to the Main Market or ACE Market within a short span of time. The 11 companies recorded an impressive average capital appreciation of about 45%, with SL Innovation Capital Bhd and Cloudaron leading the pack with gains of 133% and 127% respectively post listing. Meanwhile, the share price of Metro Healthcare Bhd almost doubled while Polymer Link Holdings Bhd and Seers Bhd climbed 42% and 25% respectively. Last Wednesday, Topvision Eye Specialist Bhd made a big debut on the LEAP Market, opening at 23 sen, or 28% higher than its initial public offering (IPO) price of 18 sen apiece. Basically, all LEAP Market counters, except for loss-making Red Ideas Holdings Bhd, were performing better as at Nov 21 compared with their IPO price. But the captains of these companies are not letting it go to their heads. MyKRIS International managing director Chew Choo Soon and Seers managing director and founder Ken Foo Kwok Hsing acknowledge the strong share price performance of their companies post listing. But they point out that the low trading liquidity has to be taken into consideration. Datuk Wan Asmadi Wan Ahmad, chairman of the Association of Corporate Finance Advisers, concurs. “Most of the companies listed on the LEAP Market are currently trading above their IPO prices and are generally doing better than those listed on the ACE Market. However, we need to take into account the low trading liquidity. The share prices might not reflect the true value of the companies,” he tells The Edge. He believes the number of companies listed on the LEAP Market will grow, going by the interest shown by entrepreneurs and owners of small and medium enterprises (SMEs). He says the stakeholders as well as Bursa Malaysia must continue their efforts to increase the traction and momentum of the LEAP Market and make it more attractive as a fundraising platform for SMEs. “It should be made clear nevertheless that it is not a platform for SMEs to dabble with share-trading activities to see their share prices go up, but rather, it should function as a platform to groom the companies for migration to the ACE Market or Main Market where trading liquidity is better,” he asserts. To be fair, many LEAP Market-listed companies have churned out fairly sizeable profits, which are even better than those of many ACE Market companies. For now, it seems like most, if not all, of the LEAP Market companies have quality . In comparison, the ACE Market is sometimes seen as a playground for traders and speculators to make easy money. However, Wan Asmadi warns that it may be too early to say if one is better than the other. He recalls that the ACE Market was formed in August 2009 following the revamp of Mesdaq, a platform that catered for high-growth companies. The ACE Market, which is now in its ninth year, has more than 120 listed companies. The LEAP Market was only launched in July last year and has 11 listed companies so far. Wan Asmadi reiterates that the LEAP Market was conceived primarily as a platform for SMEs to raise funds to accelerate their growth and gain corporate visibility, and to provide an alternative platform for sophisticated investors to invest in them. “Whether it is the ACE Market or LEAP Market, it should be noted that no one listed company may fully satisfy the investment objectives of individual investors,” he sums up.